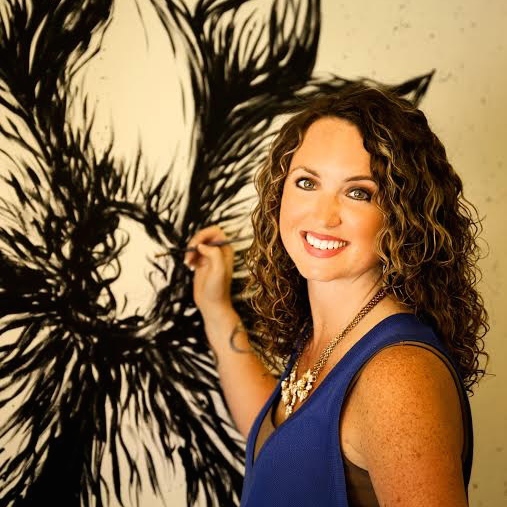 My name is Kasey Hope and I am a teacher, artist, and entrepreneur. I own an art studio in Alabama called P'zazz Art Studio. Before opening P'zazz I was a second grade school teacher and absolutely loved my job. However, in 2007 I was expecting my first child and wanted to take some time off from teaching. It was then that I opened P'zazz with the hopes of instilling a love of art into children in our community. It didn't take long before we started offering adult classes, birthday parties, and workshops in addition to our after school and home school fine art classes. It soon became clear that this is what God had created me for. Everyday I still get to teach and love on children and at the same time work in my ' sweet spot' of creating art and adding value to others. Through these online classes I hope to bring value to you as well. There is so much fun stuff to learn and do with art. I will be continually adding classes to this site. So welcome! I am so glad you are here! Be sure to check back often to see what's new!